I love my nephews. I love stamping. They love stamping. But they cannot participate every time my sister and I get together. She needs a little "mom time" now and then. To solve this, I started doing some Kids' Camps with my nephews and a few of their friends. I love working with kids. Often, they are nicer to my stuff than adults! Maybe it's the way I teach...silly and fun. Today is a Kids' Camp with about 6 kids, which is a small group for me, but we are going to have fun. 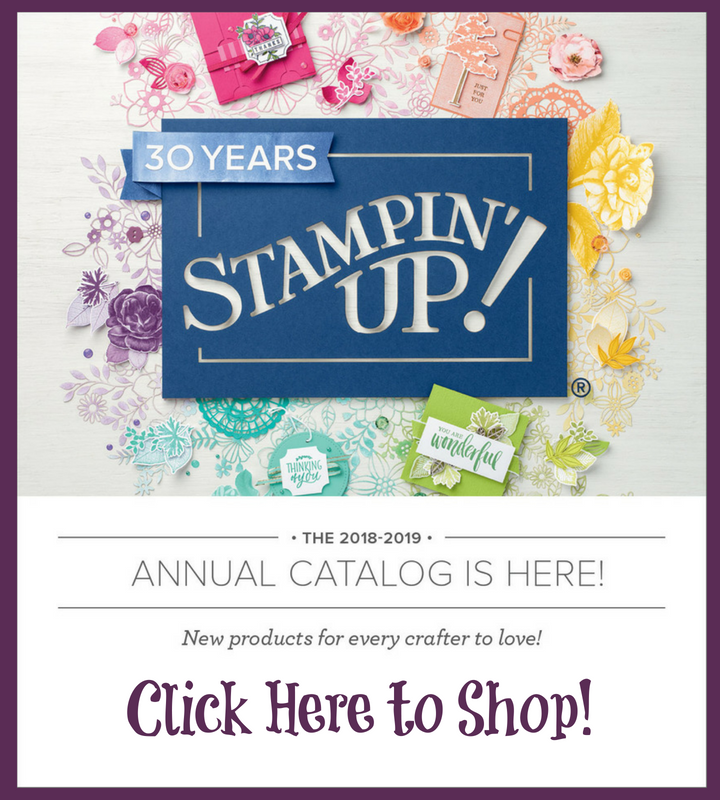 I found out at the last event that their stamping skills have increased and I needed more advanced projects! 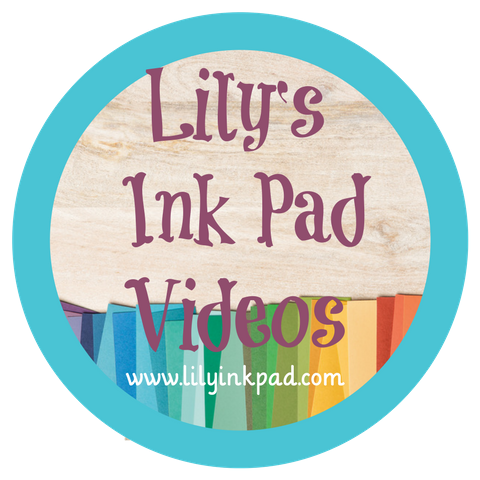 This time, I decided to make one step-by-step card and two fun projects. One project gets them ready for school....a school survival kit, and one gets them ready to say goodbye to summer...a summer mini-scrapbook! 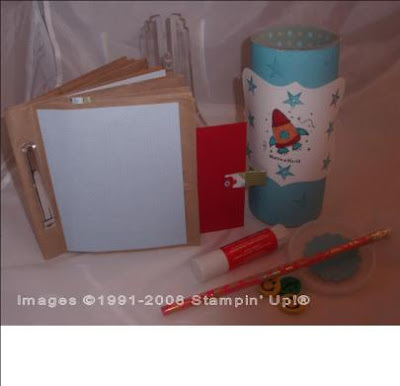 The mini-scrapbook is a paper bag scrapbook I bound with a file folder holder thingy. I had a box of them and they seemed easy to install. Plus, they look COOL! I just added scraps of Summer Picnic Paper and will finish using punches and other papers, etc. At the camp, we will decide what kinds of things should go into it and I (hopefully) will show what they came up with next week. The School Survival kit is also a free-form project. That means, each kid will decide what to do from a variety of retired papers and current stamps. 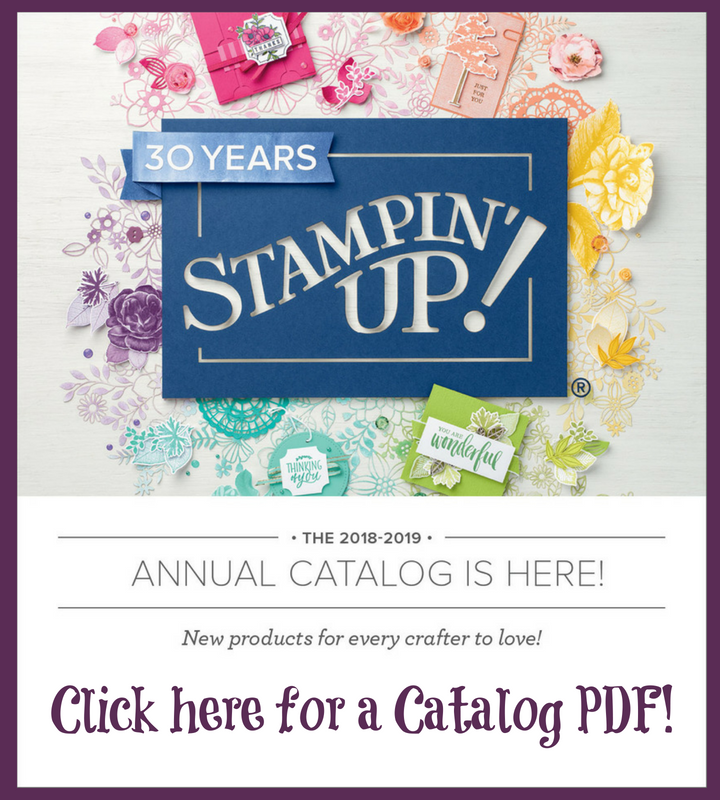 For you Stampin' Up! addicts (like me) you'll notice I used a top note cut by my Big Shot! I love that die! Sometimes with kids we do everything step by step following a pattern. I know this group well and know how they'll treat my stuff, so I can spread out. They love just exploring. As a kid, I did, too! I love doing birthday parties, too, especially when they have a theme! Ahhh. I really am ready to go back to school and be with kids again!